Teddy’s Transport was founded by Ted “Teddy” & Mary Gibbs in 1982, in Hamilton, Michigan. It began as a local pickup and delivery service for industrial manufacturers. Ted and Mary started with one pickup truck and as they grew they purchased a second truck and utilized an answering service to field calls. They would rent larger trucks if one was required. Teddy would also help customers with their industrial shows and travel all over the United States helping set them up and tear them down. This was the beginning of our Trade Show and “White Glove” service. In the early years, Teddy’s Transport was literally a family ran business, with only family driving. Ted & Mary’s daughters and son-in-law’s drove as needed: some full-time and some part-time. However, in 1988 they bought their first 24’ Straight Truck and hired their first full-time, non-family employee. Over time they added employees and trucks. During this time they did the majority of their expediting in the state of Michigan, with occasional deliveries in Indiana, Illinois, and Ohio. Teddy’s Transport was growing by word of mouth. They never had a sales representative marketing or promoting their business, it grew by word of mouth due to their reliability, honesty and reputation. By 1994 Teddy’s Transport had grown into quite a fleet forcing them to move to 4201 M-40 Holland, Michigan. At this point we started offering Nationwide Expediting Service to all 48 states. BUILDING THE FLEET. PASSING THE TORCH. In 1996, Teddy was ready to retire and on January 1, 1997 Ted and Mary Gibbs sold their business to their youngest daughter and son-in-law, Helen and Craig Zeerip who are running it today. At that point, Teddy’s Transport bought its first semi and 53’ dry van trailers and started offering Full Truck Load and Dedicated Fleet Services. They then applied for and received their Haz-Mat Authority and Canadian/Ontario Authority. On December 5, 2002 Ted Gibbs went to be with the Lord after a long fight with cancer. He was well respected and liked in the business community and very much loved by his family. His employees and family greatly miss him. Mary Gibbs is retired and doing well. With all the growth and opportunities available, Teddy’s Transport applied for and received their Woman Owned Business Certification. Along with their C-TPAT, PIP, FAST, CSA, TSA as an Indirect Air Carrier and Customs A8A Bonded Certification. They have the highest security clearance available to an expediting company.. In March of 2009, Teddy’s Transport launched an LTL (Less Than Truckload) service between West Michigan and the Greater Chicago Area. This service has flat, low cost skid rate pricing as well as Full Truck Load pricing and is one of our most popular services today! In 2013, Teddy’s Transport was highly honored with the State of Michigan’s Small Business Administrations “Family Business of the Year” award. (More awards and information are available in the “Honors” section of this website.) Craig and Helen’s daughters and Helen’s sister are involved in the business as well. Ashley Zeerip-Rowe is their Compliance Coordinator, Dispatcher and in 2015 when Teddy’s Transport moved to their newly built facility at 930 Interchange Dr. in Holland, MI, she became their Warehouse Supervisor. Mikayla Zeerip is a Regional Sales Manager in the West Michigan and Chicago areas and Carolyn Gibbs-Schrotenboer is their Business Manager. 2015 was a big year in the history of Teddy’s Transport. 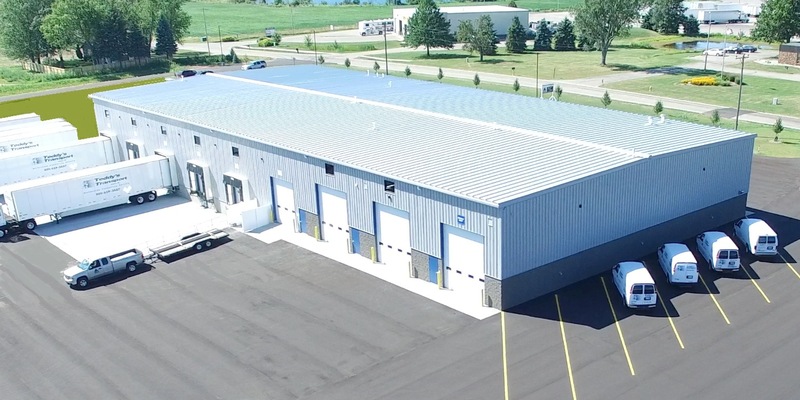 They moved into their new facility they custom built with 5,000 square feet of office space, a work out room and shower facilities for their employees, two mechanics bays and a truck wash that is open to the public. 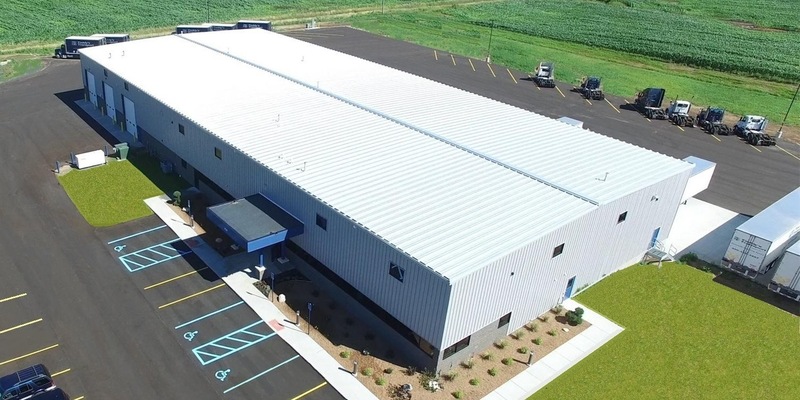 In addition, this new facility allows them to offer warehousing services such as cross-docking, break bulk, and short term and long term storage for their customers. 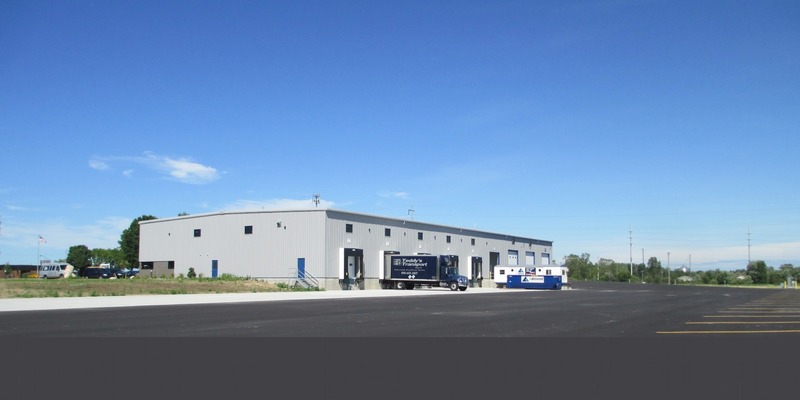 This new warehousing service ties in perfectly with their “Just-In-Time” trucking services. Teddy’s Transport’s Brand Promise is “One Call, Worry Free, Every Time!” Give us a call and find out how we keep our promises!